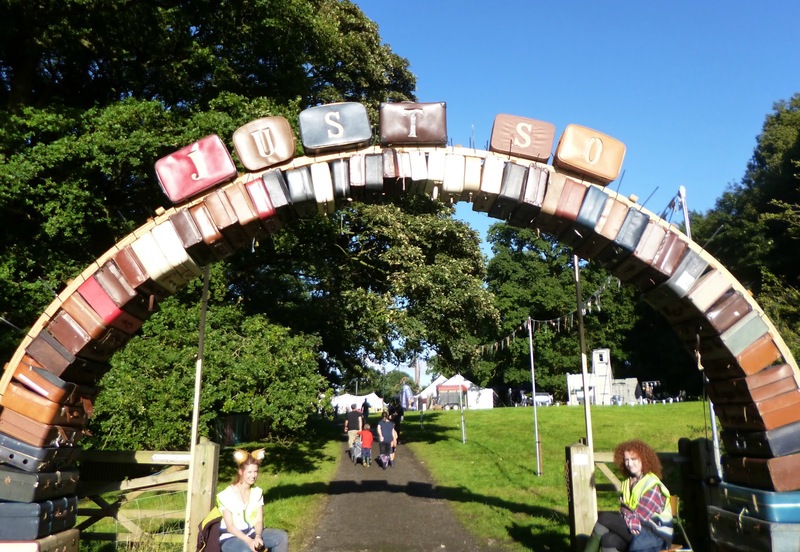 In August for the second year in a row we will be packing our camping gear and making our way over to Rode Hall in Cheshire to attend the family arts festival that is the Just So Festival. Just so is the perfect family weekend, there is so much to do for every age group, including the adults! Last years experience was absolutely magical so we are particularly pleased to be able to return again. With a focus on the arts and held in beautiful surroundings, there are endless possibilities for activities at Just So. As last year was our first year attending the festival and Baby Green was still very small, we didn’t make too many plans of what we wanted to do, instead preferring to explore the grounds and discover things new as we did so. What to expect from this years Just So Festival? Family friendly arts and music event. For babies there are a great selection of activities and events. Get active with Baby Yoga, relax with Baby massage, get messy with mud play or have a Tea Party with Weleda. Weleda are back for another year, sponsoring the Peekaboo area for younger children and this year they have some gorgeous activities planned including making flower crowns and a Mad Hatters Tea party, which sound like so much fun. They will also be offering mums a chance to sit down and relax with a cup of their newly launched Nursing tea, I tried it recently at their Headquarters and it is delicious, made with a wonderful blend of herbs to support breastfeeding. I can’t emphasise enough how impressed we were with the facilities for babies, I personally was anxious about her taking her when she was so small, but I needn’t have been! There is a comfortable feeding area sponsored by Medela, with chairs perfect for breast and bottle feeding. I really appreciated this last time as it was easy to say I was taking baby to the feeding tent and would meet the rest of the family when we were done. Baby Bath time is from 5-7 and you just need to take your own towel with you as Weleda provide the bubbles. For older children the possibilities are also endless. My son had an amazing time last year, there wasn’t a single second where he was bored or at a loss as to what to do. The festival is spread across quite a large area, so you can really explore and no two days will feel the same. 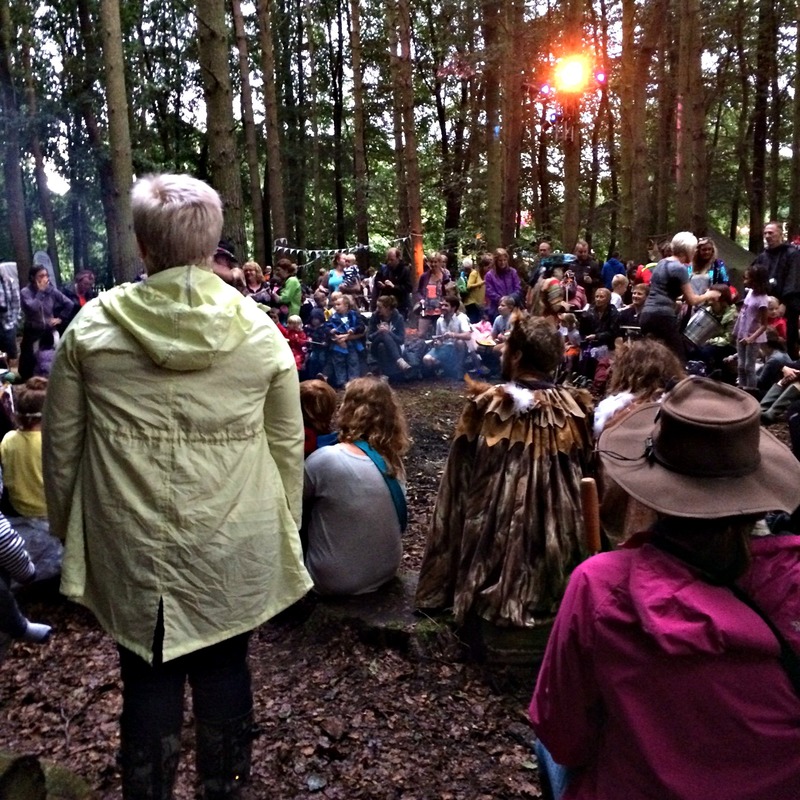 Some of our highlights last year included the Spellbound forest and campfire, exploring the High Seas and musical performances with Jitterbug. For adults the best thing is being able to be in such a lovely atmosphere, where the children are entertained and happy. A lot of children’s days out, especially in the summer can be stressful with long queues and need to be planned with military precision. Just So is very different as it is relaxed but exciting, but the fact that there is such a lot to explore across the grounds means it doesn’t feel cramped or rushed. The food and music were also a particular highlight for us, there are stalls for just about anything you could think of, pizza, pasta or delicious churros. We ate very well last time and had a ball. There is live music everywhere at Just So and it was a real treat to hear some of the performances last time, so we can’t wait to do so again. For a moment of relaxation, Weleda will be offering Skin Food hand massages again this year, which I highly recommend. This year Just So is taking place over the weekend of the 18/19/20 of August. There are tickets still available for the weekend including camping, weekend day only or to attend for just the day. I actually loved the camping last time so we will be doing that again and making most of the whole weekend, but we also met a few people who lived fairly near by and therefore chose to drive in each day. The camping facilities, including toilets and showers are kept clean and functional. I take my hat off to the cleaners who had a bit of a nightmare with the mud last year! 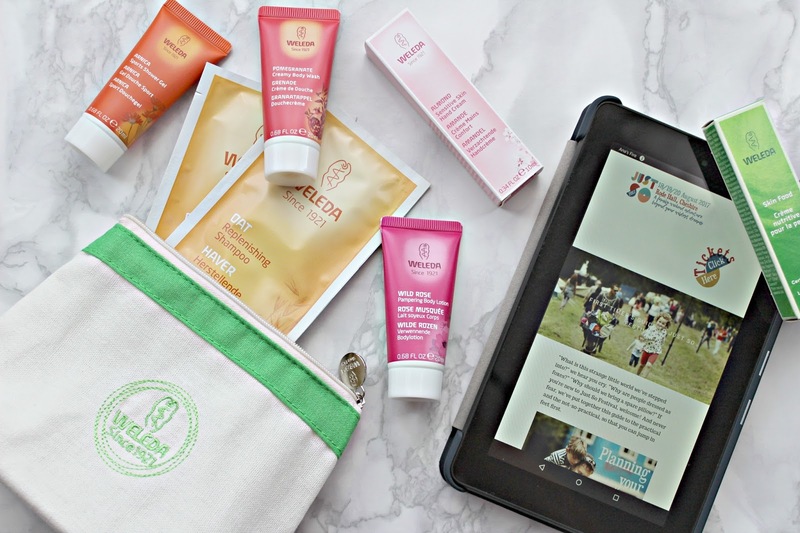 I will taking a selection of my favourite Weleda mini’s with me, including the shower creams, almond skincare, Skinfood and the citrus deodorant which also doubles up as an insect repellent. As we will have camping equipment to consider, packing light really is essential, so travel sizes are a life saver. You can read all about our adventures from last here. We had a fabulous time and can’t wait for August! I will be sharing snippets of what we are doing on my social media and blogging about it afterwards again. If you are looking for a great weekend, family friendly getaway, I can’t recommend the Just So Festival highly enough. For more information on all of the amazing activities available as well as ticket pricing and availability visit www.justsofestival.org.uk.